Five years ago, Robison was a single mom who just moved to Florida from Las Vegas. 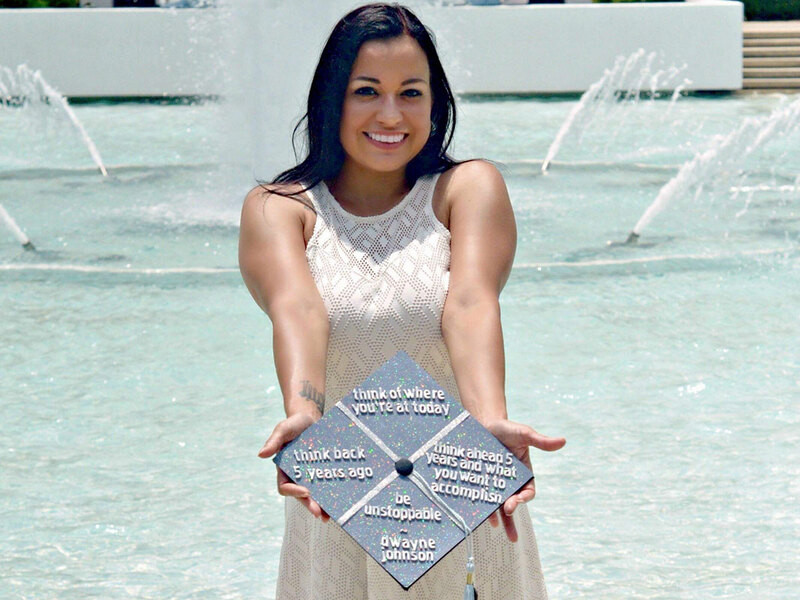 On Saturday, the 37-year-old will accept her bachelor’s degree in sports and exercise science — an accomplishment she has been working toward while pulling two jobs as a bartender, living with fibromyalgia and caring for her teenage daughter. Robison became motivated to earn her college degree, in part, for her daughter. She was 22 years old when Alexa was born. Her daughter is 14 now and about to enter 10th grade at Dr. Phillips High School. Perhaps her biggest fan, Alexa will be cheering for Robison alongside Robison’s mother and brother when she crosses the stage at commencement. Heather Robison (left) was motivated to earn her college degree, in part, for her daughter Alexa (right). When they talk about Alexa attending college, Robison is supportive and encouraging albeit slightly biased about her daughter’s future plans. 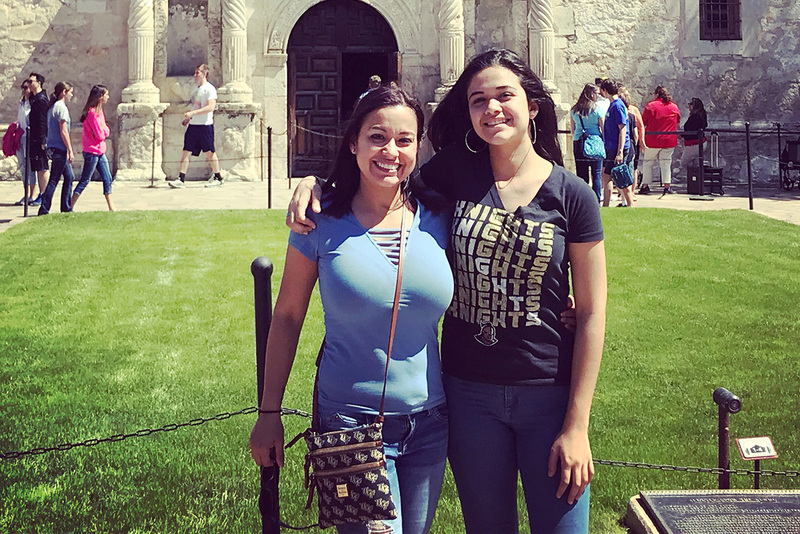 Robison says her experience at UCF was worth the long drives on toll roads from her home near Universal Studios in southwest Orange County and the sleep-deprived hours she put into balancing work, motherhood and school. She often worked as a bartender at Disney Springs until midnight, drove home to sleep a few hours and woke up early to start her day all over again. She tried to limit her classes to no more than three days a week. Her fibromyalgia, which was diagnosed about six years ago, made her routine a bit more challenging, but not impossible. At times, she felt overwhelming fatigue, aching joints and occasional memory lapses, but she powered through. For Robison, though, UCF was more than just a place to show up and go through the motions of each class to earn her grade. She loved being an active participant, spending time people-watching on Memory Mall and supporting the Knights during their 2017 undefeated football season, some of whom she became friends with in her classes. “Heather is a wonderful example of someone who has ‘lived life’ and then discovered her passion of a career. Her determination, enthusiasm and work ethic is a model for so many,” says Jeff Duke, UCF associate lecturer and advisor. Now that she’s gotten a taste of college life, she’s not sure she wants to stop. She is considering pursuing another degree related to sport business management and might pursue a career as a sports agent someday.